Back in October, YouTube began testing autoplaying videos on its Android app's home page. Fast forward to today and the feature still doesn't work on my devices, even though I have the option in settings, but it's working just fine for Artem. In fact, the Google gods even bestowed a new test upon him: subtitles in the aforementioned autoplaying videos. It seems like Artem's been watching a lot of The Office lately. 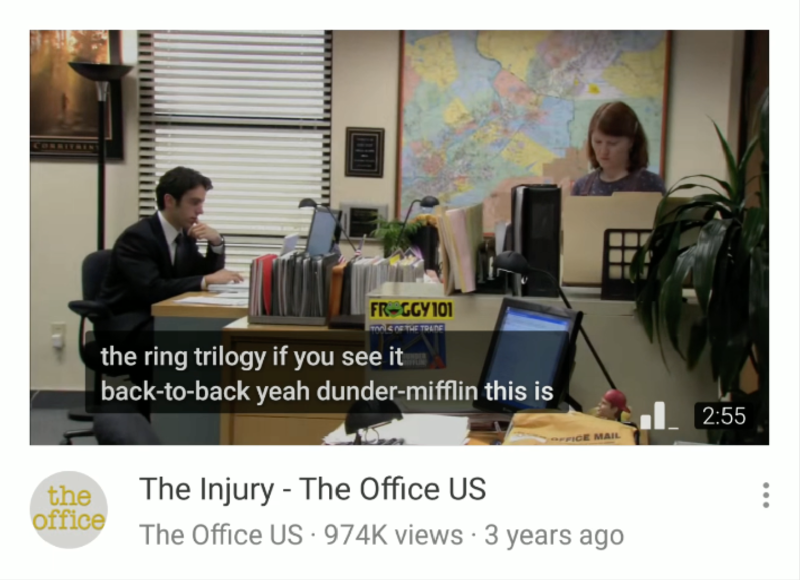 As you can see from the GIF above, subtitles show up on the videos that begin to play as you scroll down. This addition makes sense given that the autoplaying doesn't include sound, so if the picture wasn't giving you a good-enough grasp of what the video comprises, this should help. Our own Cody, who does have the autoplaying feature, wasn't able to get captions to show up even after turning captions in settings on, further confirming that this is one of Google's elusive server-side tests.